More reusable bags than you know what to do with? Not anymore! These 9 creative uses for reusable bags will have you using them daily. Be sure to try #6 next time you travel! I think we’ve all gotten the memo… reusable bags are the way to go. And so, like me, you probably have dozens of them floating around in the back of the car just waiting for their moment to shine. And like me, you probably also have a face palm moment when it comes to check out time and you forgot them in the trunk. Again. I’ve found that practice makes perfect, so I’ve started using Harris Teeter reusable bags all over town. The more I use them, the less likely I am to forget them when I run in to do my grocery shopping. My new favorite accessory is the Harris Teeter Pop ‘n Go Tote! This sturdy, stay-open tote collapses flat for easy storage. But don’t miss the creative uses specific to the standard reusable bag. 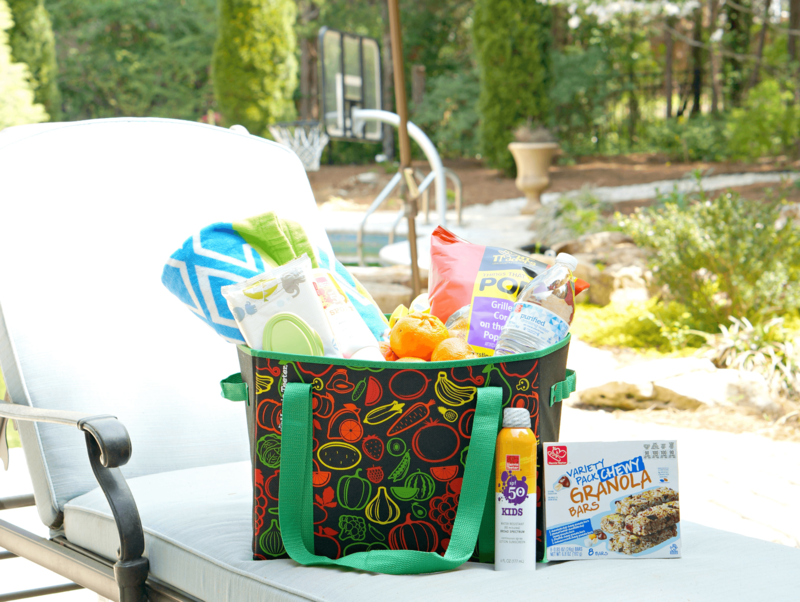 I love using my reusable bags for the beach and the pool. Load up with towels, drinks, snacks, and sunscreen and enjoy some laid back fun. 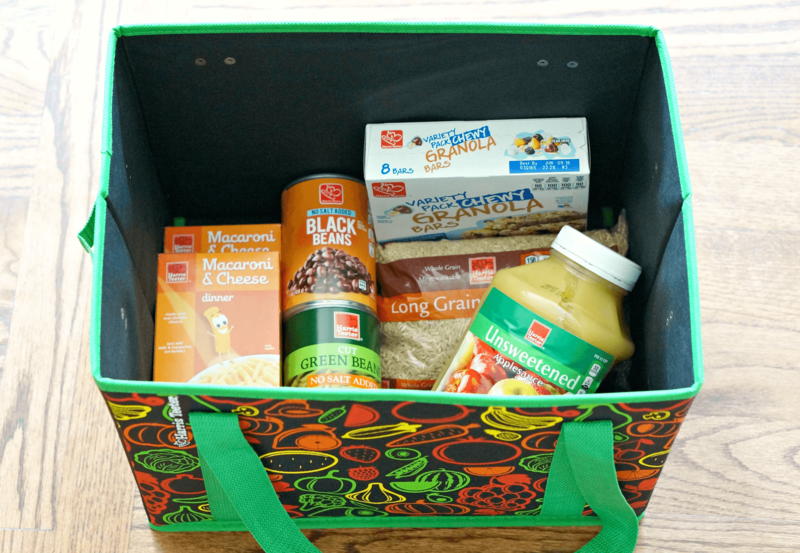 Keep the Harris Teeter Pop ‘n Go Tote in your pantry and fill it up with items to donate. Once full, you can drop off the whole thing at your local food pantry. Some of those consignment sales can be a zoo! 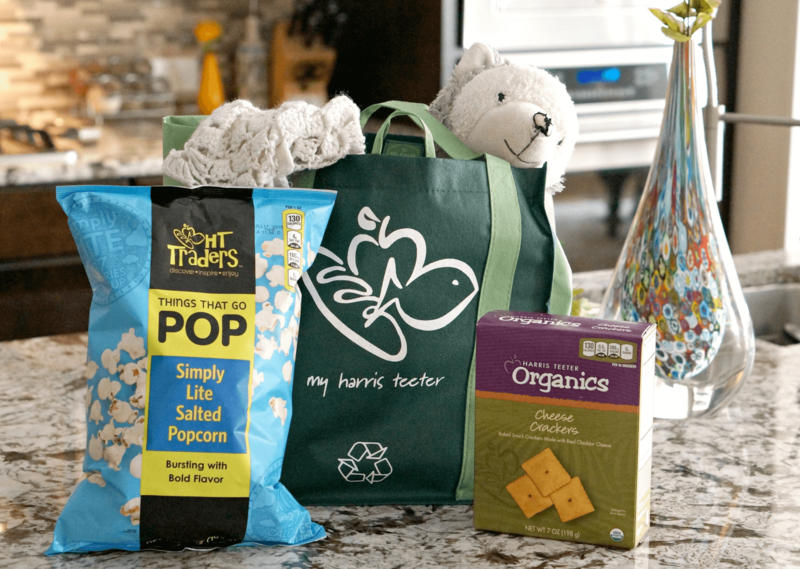 Use the Harris Teeter tote to help sort and keep your purchases organized. 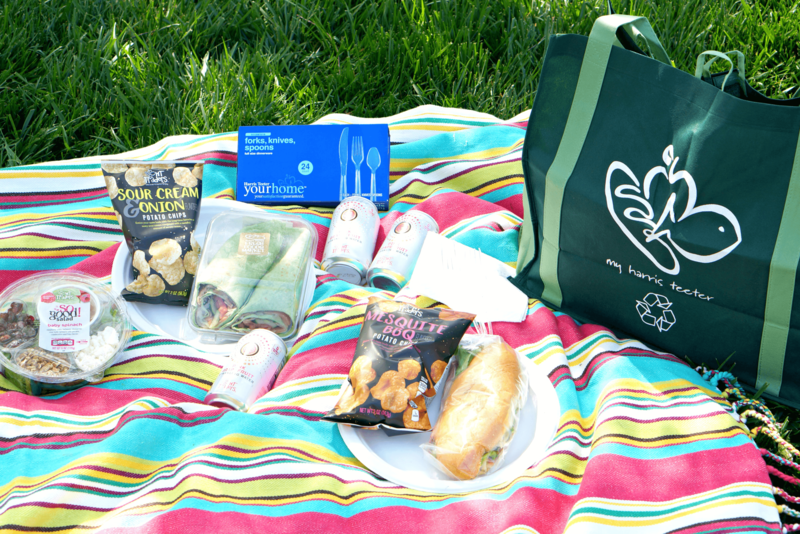 Whether you’ve brown-bagged it to work or your heading to a park with the fam, load up a Harris Teeter reusable bag with all of your picnic fixins! 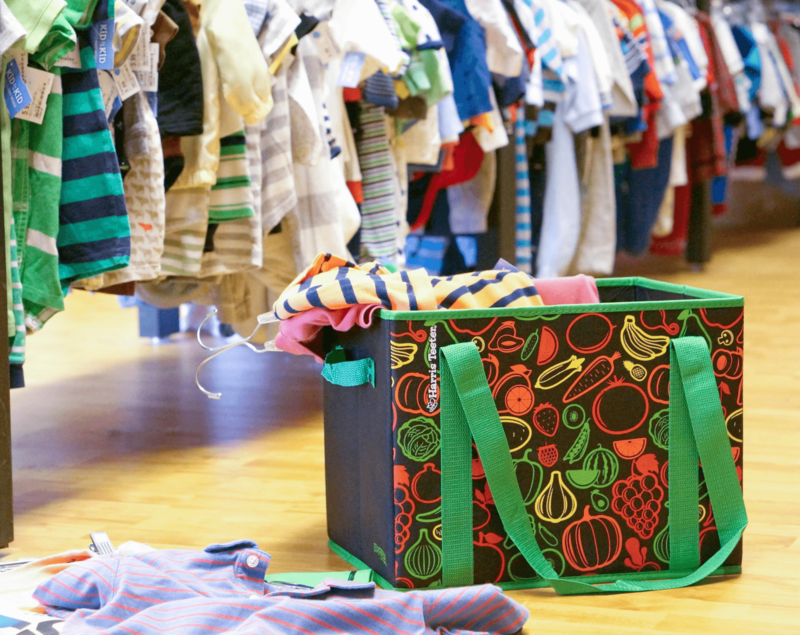 Need an easy way to sort laundry? 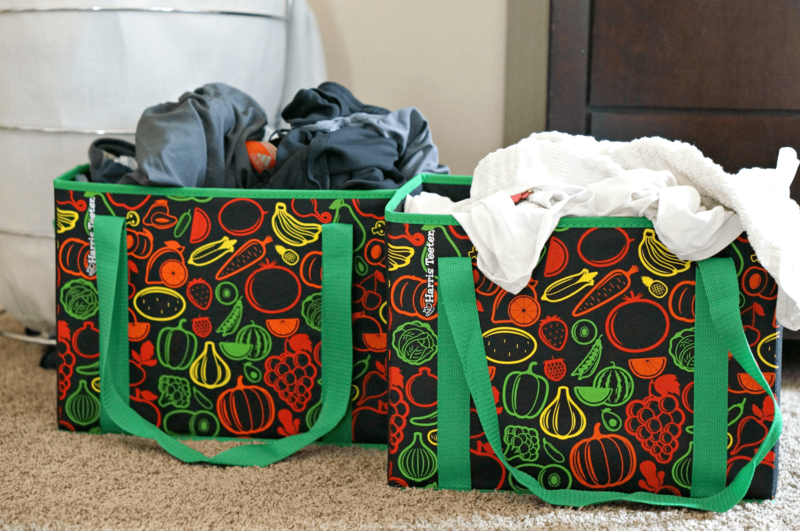 I love using these Harris Teeter Pop ‘n Go totes as I go from room to room collecting dirty clothes. Traveling? 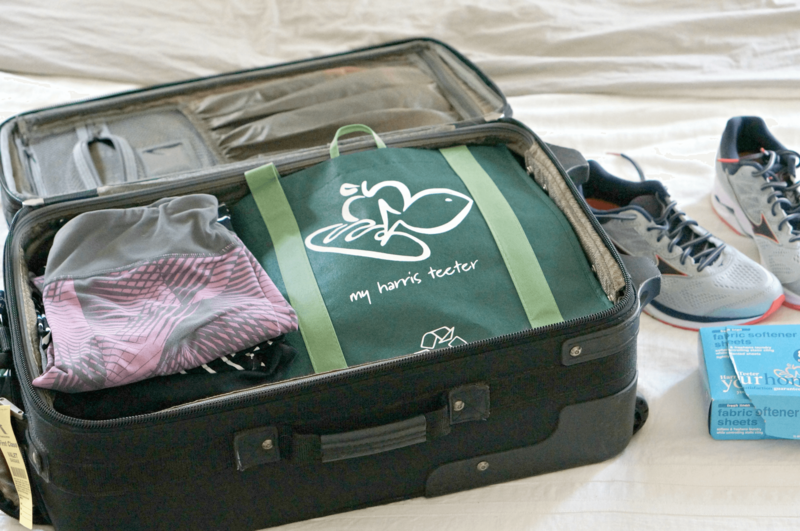 Pack your shoes in a reusable tote to keep the rest of your clothes fresh. I like to toss a dryer sheet in with the shoes to keep smells at bay. PJ’s, clothes for the next day, and lovies are must. But, why not send the kiddos off with some snacks to make it easier on your host? 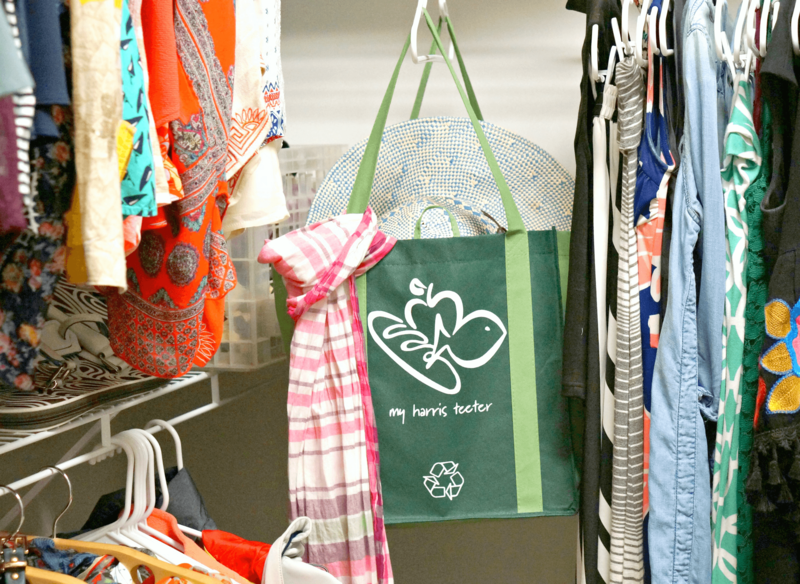 Hang the Harris Teeter Reusable tote from a hanger in your closet for easy access to your favorite accessories. Tie on scarves for easy viewing. Want to have home grown veggies but don’t have room for a garden? 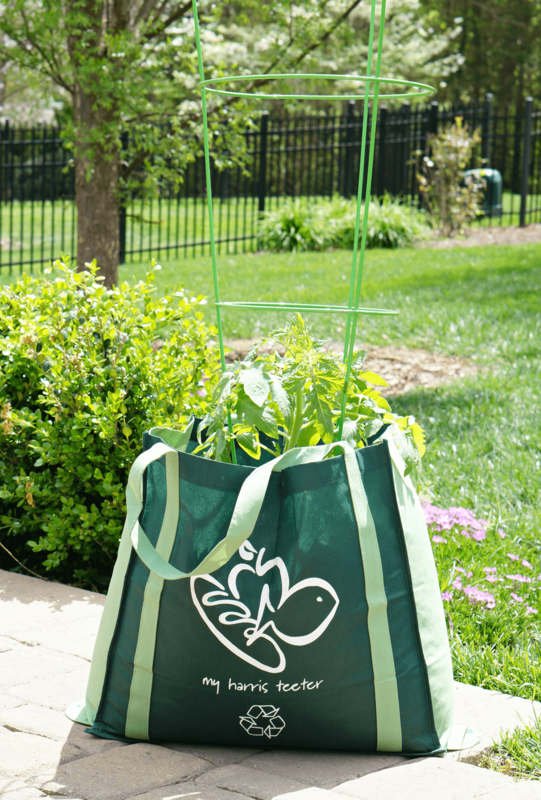 Try planting tomatoes, peppers or herbs in a reusable tote. You can even move it around to ensure it gets proper daylight! Be sure to take advantage of the weekly savings on reusable bags at your local Harris Teeter.